Collection, analysis, and dissemination of data have been part of the transplantation since its earliest days. The two largest databases containing information on pediatric cardiac transplant patients are the United Network for Organ Sharing/Scientific Registry of Transplant Recipients (UNOS/SRTR) database and the Pediatric Heart Transplant Study (PHTS). These data have enabled examination of patients undergoing transplantation, including modeling of outcomes, analysis of allocation decisions, and the examination of criteria for listing. Extensive literature exists utilizing this data, but must be read critically, recognizing the limitations presented by missing variables (whether uncollected or collected but left blank), reproducibility, and small sample sizes among pediatric patients. 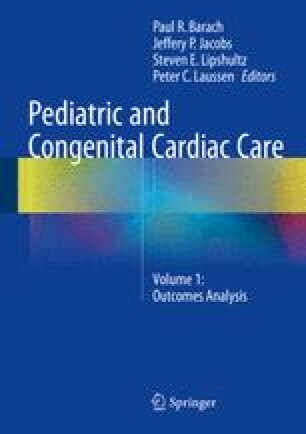 However, despite these limitations, these datasets provide an important resource in the ongoing examination of cardiac transplantation in children. Organ Procurement and Transplantation Network (OPTN) Data, based on OPTN data as of May 17 2013. optntransplanthrsagov. Available at: http://optn.transplant.hrsa.gov/latestData/advancedData.asp. Accessed 23 May 2013. Davies RR, Russo MJ, Mital S, et al. Predicting survival among high-risk pediatric cardiac transplant recipients: an analysis of the United Network for Organ Sharing database. J Thorac Cardiovasc Surg. 2008;135(1):147–55, 155.e1–2. doi: 10.1016/j.jtcvs.2007.09.019. Davies RR, Russo MJ, Morgan JA, Sorabella RA, Naka Y, Chen JM. Standard versus bicaval techniques for orthotopic heart transplantation: an analysis of the United Network for Organ Sharing database. J Thorac Cardiovasc Surg. 2010;140(3):700–8, 708.e1–2. doi: 10.1016/j.jtcvs.2010.04.029. Pediatric Heart Transplant Study. University of Alabama – Birmingham. Available at: http://www.uab.edu/ctsresearch/phts/archivedforms.html. Accessed Dec 2011. Pediatric Heart Transplant Study (PHTS) – forms. University of Alabama (UAB). Available at: http://www.uab.edu/ctsreaserch/phts/forms.html. Accessed 1 Sept 2011.
International Society for Heart and Lung Transplantation. ISHLT registries – heart/lung registries. ishltorg. Available at: http://www.ishlt.org/registries/heartLungRegistry.asp. Accessed 24 May 2013. CMS Centers for Medicare and Medicaid Services. National coverage determination. 5th ed. 2010. Available at: http://www.cmms.hhs.gov/medicare-coverage-database. Davies RR, Russo MJ, Hong KN, et al. The use of mechanical circulatory support as a bridge to transplantation in pediatric patients: an analysis of the United Network for Organ Sharing database. J Thorac Cardiovasc Surg. 2008;135(2):421–7, 427.e1. doi: 10.1016/j.jtcvs.2007.09.048. Scientific Registry of Transplant Recipients. Available at: http://www.srtr.org/csr/current/Centers/TransplantCenters_New201106x.aspx?organcode=HR. Accessed 7 Sept 2011.